Welcome to the Cities XXL Planning Guide. Inside you'll find photos of every map and resource in the game. You can click on the links below or in the navigation bar at the top of the page to see filtered lists of all the maps based on map theme, landform, water feature, resource or map difficulty. After you jump to a list page, make sure to click on the "Older Post" link at the bottom right of the pages to cycle through all of the photos. 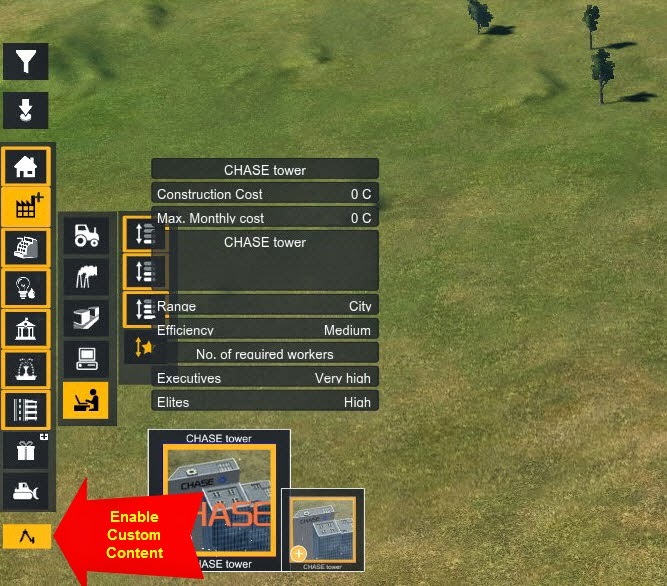 Once you get to the individual map pages you'll see that I've added icons indicating how I've categorized it. If you hover over the icon it will tell you what it means. Some of the landform categories are somewhat subjective and a few of the maps don't really fit any category. If you find any errors or omissions, please leave a comment on the page so I can get it fixed. Thanks, and happy gaming! After visiting the pages above, make sure to click on the "Older Posts" button in the lower right corner to see all of the photos. Here's the breakdown of what classes each building type hires. Note that some classes aren't required unless it's a medium or high density zone. It should be noted that some specialty buildings don't follow these rules. For instance, silos use skilled workers. Where do I find mods? Open the Steam application. 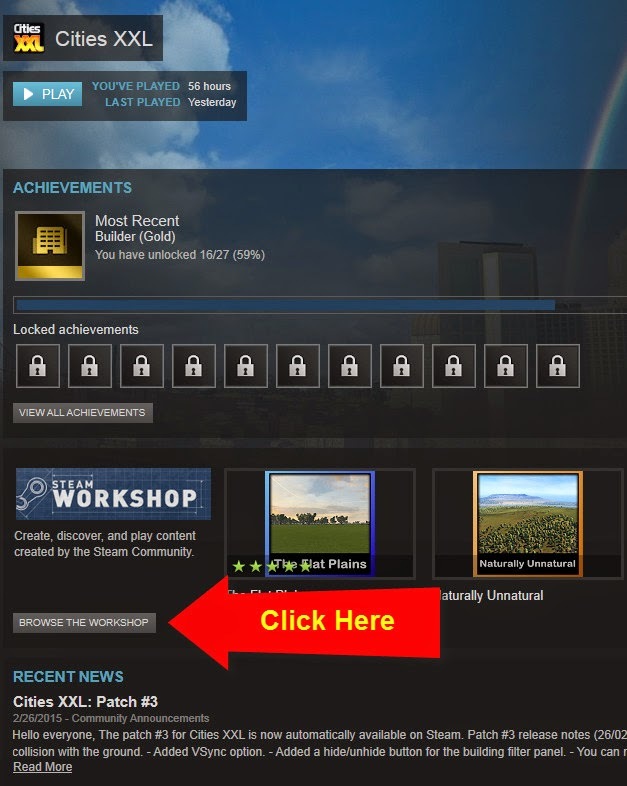 Click on the button for "Browse the Workshop"
Once inside the workshop you can browse through the entire list or choose one of the filters on the right to narrow down your search. To learn more about the mod, simply click on it. To install the mod, click on the green "Subscribe" button. That's it! The next time you run the game, the mod will be installed. Go to XLNation.city and become a member. You must be a member to download mods. From the main page, click on the "Resources" tab. 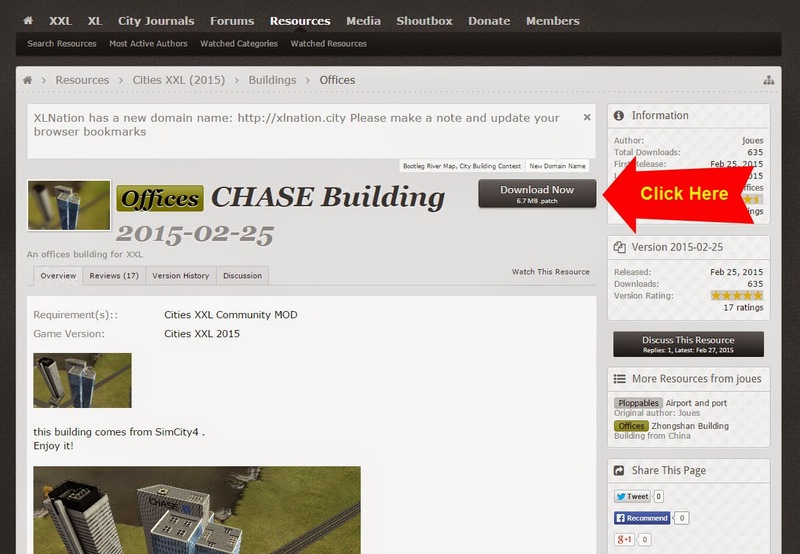 From the "Resources" page, select "Cities XXL (2015)"
Click on whatever mod you'd like to learn more about. 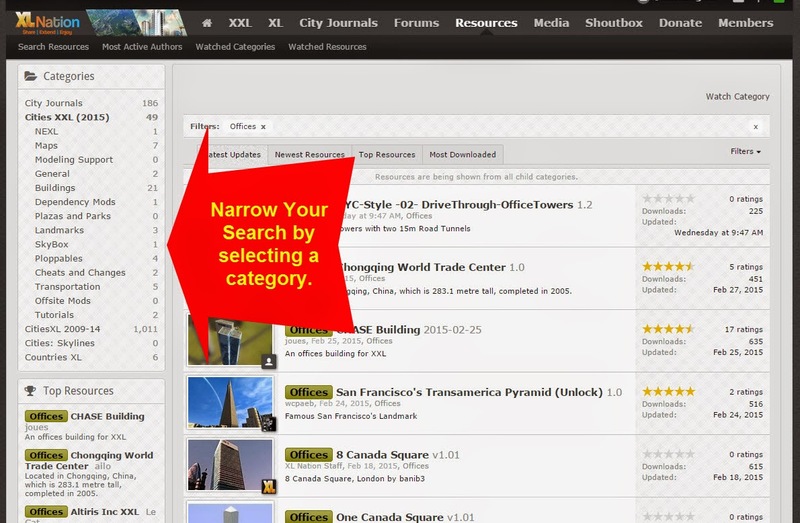 You can filter through the various mod types by selecting from the list of categories on the left side of the page. Where do I find the mod in the game? 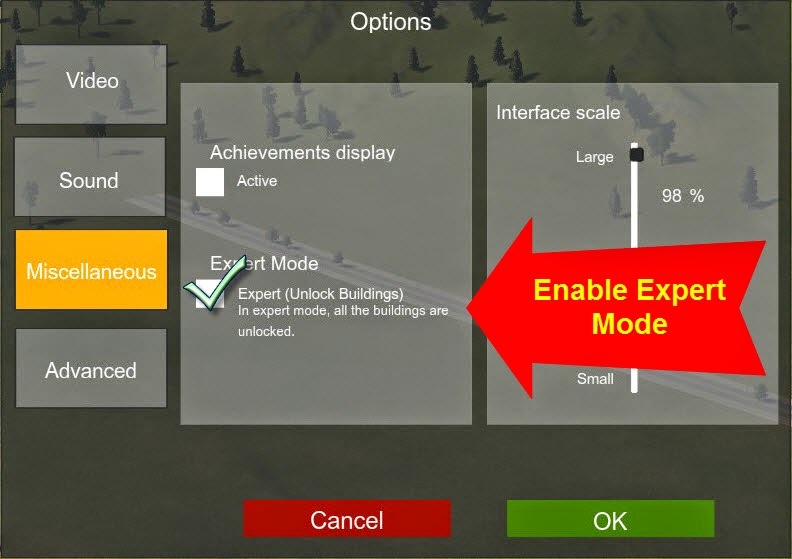 In order to see the mod, you may need to enable "Expert Mode" which is listed in the options. The mod will be found in different locations based on what type of mod it is. 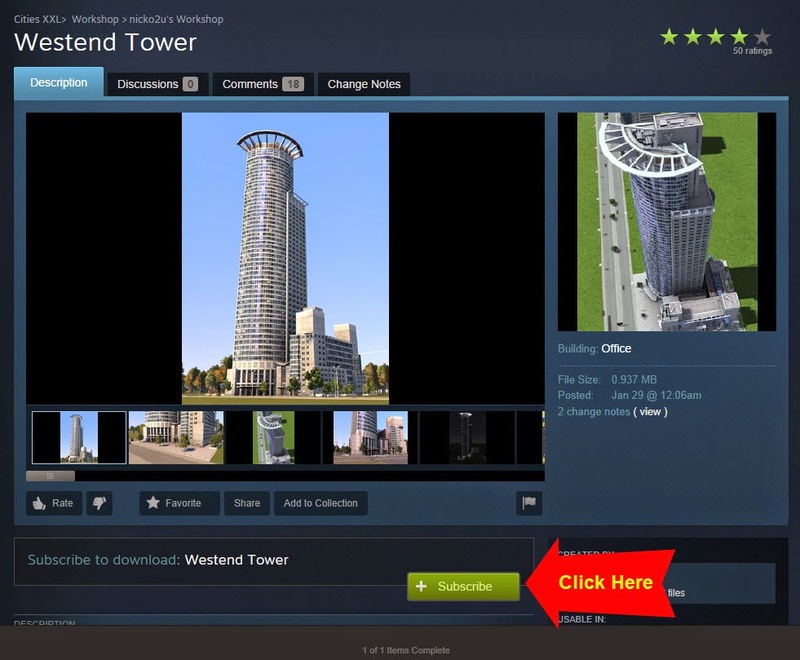 In this case, it's a custom made office building so it's found by selecting "Custom Content" and then looking in the Star menu of the office buildings. Where do I find the Real Highway Mod? Again, make sure you've enabled expert mode, otherwise it won't work correctly.